Sleep terrors, sleepwalking, and bedwetting all fit into the category of “partial-arousal parasomnias”. Although there is a genetic predisposition to each of these conditions, a report at the 2001 annual meeting of the Associated Professional Sleep Societies suggests that some children with these conditions respond dramatically to a small increase in total sleep time –sometimes as little as 1/2 an hour a day. 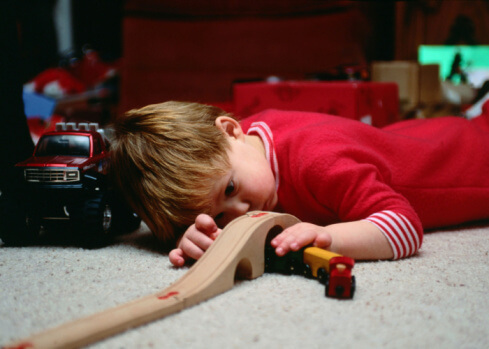 Children with sleep terrors and sleepwalking experienced rapid and impressive improvement after adding a short daily nap, moving bedtime ahead, or delaying wake-up time in the morning. The average increase in total sleep was 1 hour, 25 minutes. With this change even children who had needed medicines to control these conditions were able to sleep without disturbance. I suspect that children who are bedwetting would have similar experiences, and have seen evidence of this again and again in children I know.